The iiClip was developed shortly after the launch of the iiCap. 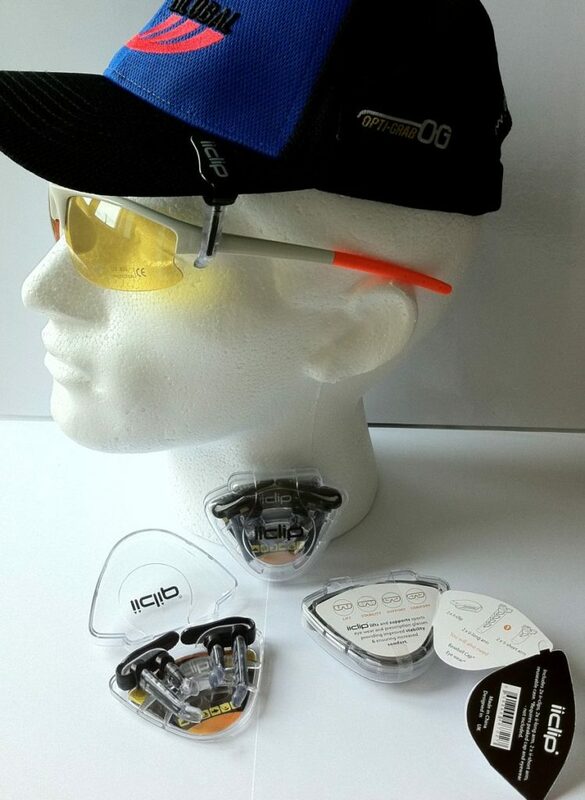 It is a complimentary accessories that can be attached to most ordinary caps which the owner may own already, while offering the same functionality as the iiCap. Alleviate eyewear related pressures and discomfort by taking the weight of your glasses off your nose e.g. prevents red marks or falling glasses. Holds your sunglasses or prescription spectacles securely in place making it ideal for many sports and leisure activities i.e. prevent your eyewear from slipping or bouncing. Offer competitive advantages for avid sports men and women. General activities providing greater comfort for; walking, gardening, driving or even indoor activities like reading or watching TV, particularly if you are wearing heavy 3D glasses. Sporting or leisure activities such as golf, tennis, fishing, running, rambling shooting etc. Clinical and work applications; e.g. useful for many working environment where wearing of a cap or hat is compulsory. 1. 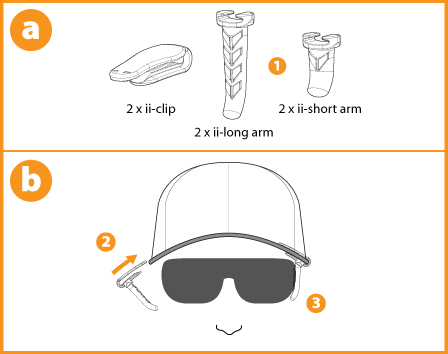 Select appropriate arm length to suit your chosen eyewear. 2. Slide the iiClips onto the peak of your cap and position near the rear. 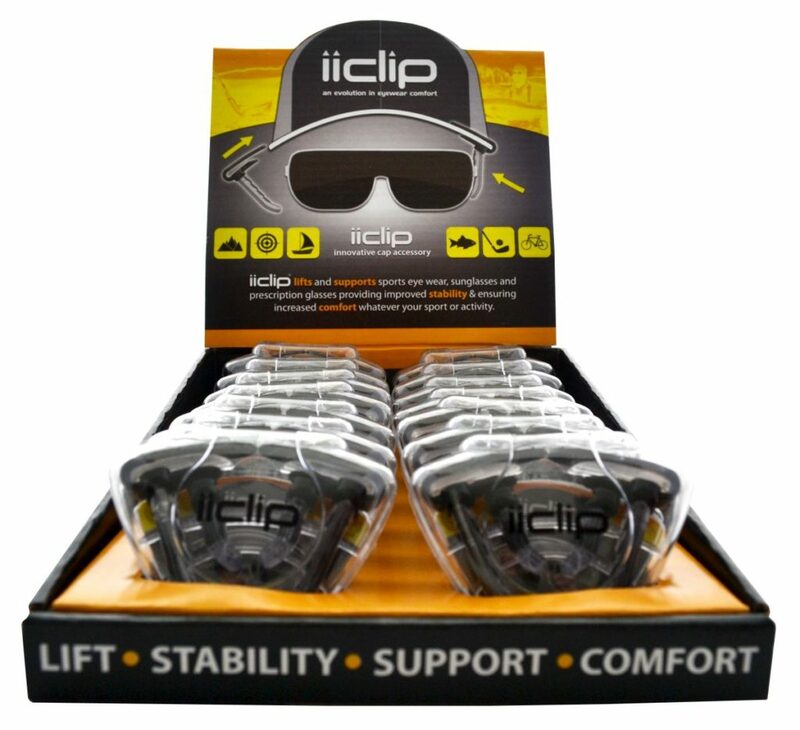 With your eyewear already on and the iiClips in postion put on the cap whilst bending the peak upwards to allow the iiClips to reside on the arm of your eyewear. 3. 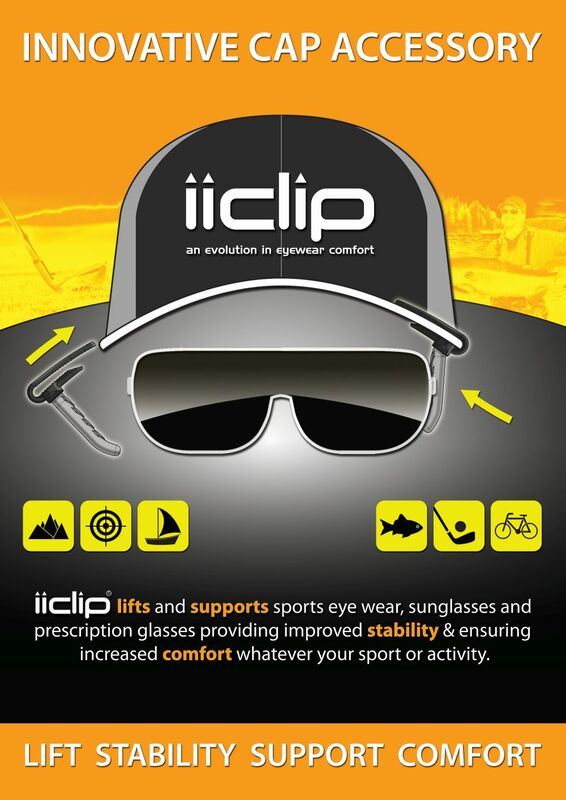 Adjust your cap, eyewear or the iiClips until you feel most comfortable. Note that the arm of the iiClip arm can rotate and slide to enable a perfect fit. 4. To remove, grab both iiClips, uncurl the peak slightly to easily remove the cap from the head, then remove iiClips from the peak and put it back in its box. Current stock has all been reserved recently for promotion purposes, thus it is no longer available for sale. We are currently working on a new design, so watch this space.